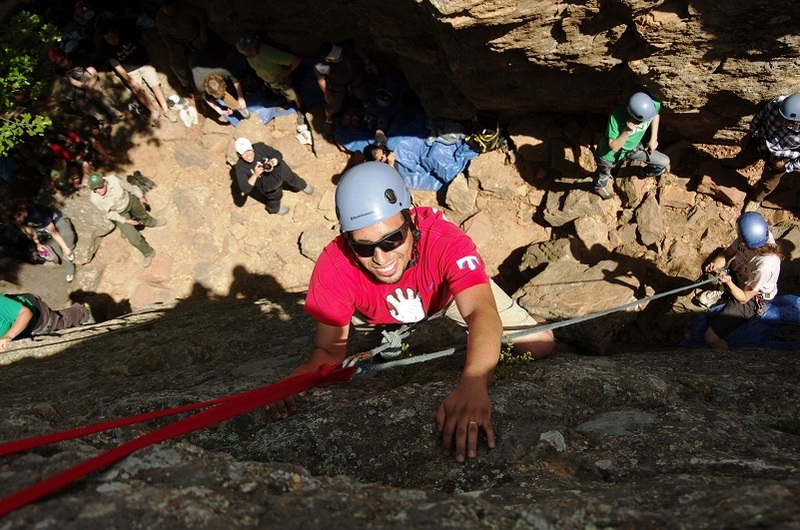 Some of Texas’ best rock climbing spots are in our state parks, including Hueco Tanks, Lake Mineral Wells and Enchanted Rock. As the sport’s popularity has increased, so, too, has the potential for overuse and abuse of these natural resources. 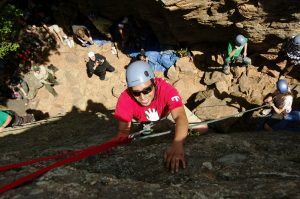 Over time, the practice of “clean climbing” has gained traction among devotees of the sport, who are committed to preserving the integrity of the rocks they scale. Clean climbing is climbing without items—such as bolts—that get left behind. It takes more effort and thought, but those who engage this practice find it fulfilling. When you do a clean climb, you ensure that those who come after you do not see signs of a previous climb. It’s similar to Leave No Trace. This method of climbing involves more of a commitment, and works best with multiple climbers. When employing this style, the first climber is responsible for placement of protection gear like camming devices and slings. The climber who follows then removes those items on their way up. Clean climbing is another way to enjoy unspoiled nature and not spoiling it for those who come after you, either. That’s our show…we receive support in part from RAM Trucks…build to serve. You are currently browsing the Passport to Texas weblog archives for the day Thursday, January 24th, 2019.